Professional cycling has an image problem. The sport appears to be in a perennial flux of doping scandals and promises to clean up, only for another high-profile name to fall foul of the rules or, at least, the ethics. When Team Sky formed in 2009, a key pledge was that they would do it differently and earn success cleanly. Under the guidance of David Brailsford, the team enjoyed rapid success. In their third season, Bradley Wiggins captured the greatest prize in the sport, the Tour de France. Since that inaugural win, Team Sky has won every Tour de France bar one, and also picked up wins in the other grand tours – the Giro d’Italia and Vuelta a Espana – to boot, plus their cyclists have won a haul of other events, including Olympic Games medals. 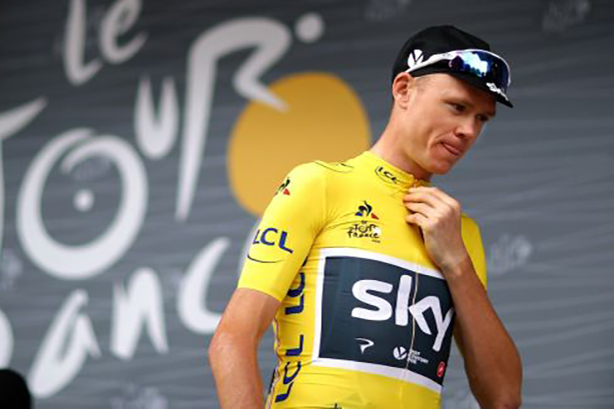 However, a 'grey cloud' has emerged over Team Sky’s operations since allegations surfaced that two of its Tour de France winning cyclists, Bradley Wiggins and Chris Froome, had used performance-enhancing drugs. Wiggins case did not contravene the World Anti-Doping Agency’s code, although it was questioned as being unethical, while Froome successfully defended the allegations in a legal battle with cycling’s governing body, the UCI. When Sky suddenly announced it would end its sponsorship of British cycling this season, it left the world’s top-ranked team without a title sponsor at a difficult juncture. It is believed that Sky contributed about €30m each season, which is comfortably the most of any team and three times as much as some rivals it competes with. But, at a time when brands are carefully considering the social purpose of their marketing investments, could the team’s recent problems with fresh allegations of doping taint their allure to new sponsors? Experts who specialise in securing sports sponsorship deals are divided about how severely recent scandals have tarnished the sport and unsure who could replace Sky, but agree it won’t be an easy sell. Calacus PR managing director David Alexander, who has previously with British Cycling and Brian Cookson, the former president of British Cycling and the UCI, told PRWeek allegations linked to the team will have tarnished its reputation to a degree, particularly as the team had set itself up to such high ethical standards to begin with. "The problem with any brand or organisation who set themselves up to be whiter than white and standard bearers for a sport so long tainted by doping is that they have to exceed those standards or they are there to be shot at," he said, adding that we will find out more about the legitimacy of allegations when a tribunal into Dr Richard Freeman concludes in a few weeks’ time. Former pro cyclist Tom Copeland, who recently set up PaceUp Media, which specialises in cycling PR and communications, doesn’t believe the allegations related to Team Sky are big enough to put off potential suitors. "There hasn’t officially been a Lance Armstrong-style scandal where someone has been outed," he said. "If Froome had been found positive and was outed like that, it would be a different story, but he came through it quite well in the end. It’s not tainted enough for people to shy away from it. The success of the team and structures they have in place outweigh the negatives." Pitch Marketing Group managing partner Adam Raincock told PRWeek he believes selling the sponsorship "could well be the difficult second album for the team formerly known as Sky". "Sponsors are more critical in cycling than other sports, as the TV product isn’t as compelling as other major sports – it’s on all day, expensive to film and most of the fun parts happen at the end, all of which erodes the price," he said. Raincock believes that Team Sky is "universally unpopular in the cycling community outside of Britain" because of its superior budget and dominance of the Tour de France. He points out that while cycling is a global sport, its reach and audience outside of the Tour is small. "Adding to this is the grey cloud that follows Team Sky around following the allegations thrown at them and a wider suspicion of cycling – both of which will put of some potential suitors." Fusion media founder and director Adam Tranter told PRWeek the success of Sky’s association with the team could make it difficult to find a new sponsor. "Cycling team sponsorship on one hand can deliver lots of brand awareness because sponsors generally own the name of the team, but this is also potentially its downside," he said. "If the team, currently known as Team Sky, continues with the same goals, riders and race calendar, it's going to be very difficult for a new sponsor to move on from that and take true ownership of the team as a sponsorship asset." Could Asian brands step in? PHA Group founder Phil Hall believes that Sky's departure has as much to do with Walt Disney’s takeover of 21st Century Fox than it does with broader image problems affecting the sport. "Many of the major sponsorship deals in sport in the UK involve foreign corporations and I suspect that if the British team is to be funded again, it will come in that direction, probably from China," he said. "That said, international sport is complex because of the national identity issues. For example, can a Chinese company sponsor British cycling when the Chinese have their own cycling team. Will it damage their brand at home?" Copeland, who agrees that Sky’s corporate ownership change may be behind their departure, also believes an international brand is the most likely replacement. He hopes the team looks beyond "an Asian corporation looking for a bit of brand exposure". A streaming giant like Netflix or Amazon could create a huge amount of content in and around the sport, something that he believes Sky never took full advantage of. "Sky used to hold their rider's cards quite closely to their chests in terms of access. It would be great if they could let the riders open up a bit and probably share their experiences in the peloton to cycling audiences," he said. "If they had filmed a Netflix-style story around Geraint Thomas winning the Tour this year, the viewing figures would be huge." Other brands in cycling are also looking at activating in events outside of the tour, such as off-road, niche events that can attract huge audiences. One of these is the Education First Pro Cycling Team, which has partnered with clothing brand Rapha and recalibrated its sponsorship strategy. "They’ve cottoned on to the fact that the majority of the races the world tour teams are going to don’t have that big an audience or viewership. There are a lot of more niche races, the off-road type races which are up and coming and getting massive audiences compared to road races. They are going to create content around those to activate their sponsorship better," he said. Tranter believes the British professional cycling team could take a different direction. "There's not much more for them to achieve at the top of men's mainstream road cycling," he said. "You could see the team looking at other cycling disciplines which are on the up, or of course, look at the huge potential offered by women's pro cycling, currently available at only a small fraction of the budget." Copeland believes there is a bit of a "changing of the times" in cycling sponsorship, with brands looking to get more bang for their Euro and not always at traditional road events. That said, the former Team Sky needs to secure a title sponsor before the Tour de France to avoid potentially losing some of its star riders to rival teams. Although it possess a "bursting trophy cabinet", some of the world’s best riders, and a larger profile than any other cycling outfit – Hall and others predict a "bumpy road ahead for British cycling". Raincock added: "overall, the odds are against them, but this is a team that is used to defying the odds". It’s also a sport that has shown greater resilience in the face of adversity than most others. Rio 2016: which sponsors won Gold and which stumbled at the 'sharing Olympics'?